 Industrial Clutch Parts Ltd. distribute a complete range of WPT Power Grip Clutches. Primarily designed for in-line and shaft-to-shaft power transmission applications with large inertia loads. As the Number 1 distributor for WPT Power Transmission, ICP can ensure prompt delivery for our customers to experience greater efficiency and less downtime. The Power Grip Clutch is designed to assist in-line mounting for heavy-duty power transmission. Used in conjunction with either a quick change or standard driving adapter, the Power Grip Clutch is useful as a coupling clutch for shaft-to-shaft applications. WPT has incorporated a major design improvement into the Power Grip Clutch. The wave spring is designed to replace coil springs in new and existing clutches. Only one wave spring per plate is required versus several coil springs. The wave spring allows simple assembly of a clutch on the shaft without the use of special tools used to retain the obsolete coil springs. When used with the "extended teeth" hubs maintenance time is dramatically reduced. WPT's patented extended tooth hub for Power Grip Clutches greatly assists in re-assembly of the clutch while mounted on a shaft. The extended teeth allow for all center/ floating plates to remain engaged on the hub teeth with the release springs in a relaxed state. Previous designs required special clamps to retain all parts on the hub until the air tube holding plate could be installed and the bolts installed.